The Union Government has opposed the framing of guidelines relating to government advertisements in the Supreme Court. The Attorney General for India Mukul Rohatgi submitted to the Apex Court that government advertisements should be handled by government only, without any guidelines made by Court. He said, "These are matters which should be left to the government and are outside the purview of the courts. The government communicates to the public at large through these advertisements on policy and other matters." He submitted that how can the Court decide if an advertisement is for political mileage. Giving an example, he submitted, "Today, we have the swine flu campaign going on across the country. Do we suggest that these advertisements should not contain the pictures of the health minister or health secretary etc. It cannot be said this (advertisement) is given with malafide intention." The submissions were made when the bench of Justices Ranjan Gogoi and Pinaki Chandra was hearing Prashant Bhushan’s plea, who was representing an NGO. 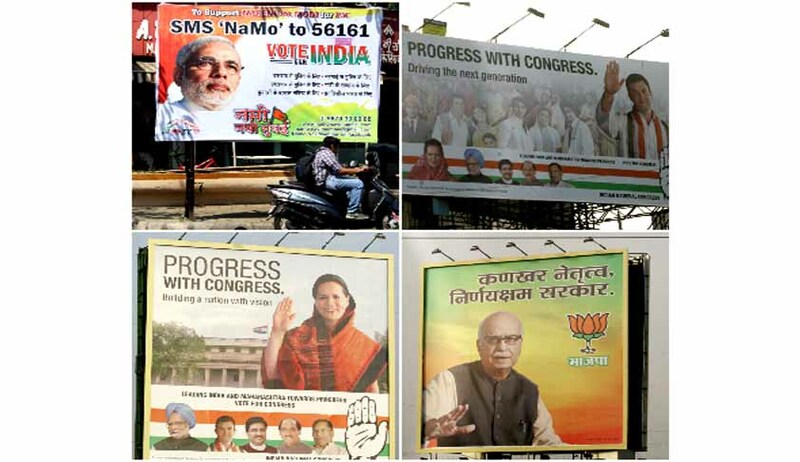 Mr. Bhushan had earlier submitted that the Government gives out advertisements to gain political mileage. Countering the submissions made by senior lawyer Prashant Bhushan, the Attorney General said, "The government expenditure is subject to whole lot of parliamentary procedures and each penny is accounted for and is subject to the audit of the CAG. This is not a case akin to the Visakha case where the courts can step in." He added, "On what basis, you will decide that it is malafide and is being given to gain political mileage. Ultimately, the government is answerable to Parliament." Thereafter, the Supreme Court said that it will consider submissions made by every party before arriving at a conclusion. Earlier, the Supreme Court appointed panel had recommended guidelines for government advertisements. The Apex Court had then demanded replies from the government and NGOs on the report submitted by panel. Reportedly, the panel headed by Prof. NR Madhva Menon, which also had TK Viswanathan, former secretary general of Lok Sabha and Solicitor General Ranjit Kumar as its members, suggested that only a single advertisement, preferably by I&B Ministry should be released for commemorative occasions like birth or death anniversary of an important personality. It had also said that only the pictures of President, Governor. Prime Minister and Chief Ministers should be on advertisements. A creation of an Implementation Committee was also recommended by the panel. It had said that the same could be headed by either an Ombudsman or the Secretary, I&B Ministry. Mr. Bhushan had termed the report of the panel as “salutary” and had submitted that the same should be issued by Court. However, the Apex Court had reserved its verdict on the issue.